The BioProtect anti-radiation sticker functions as a medium that resonates and absorbs radiationwaves that are detrimental to our body. 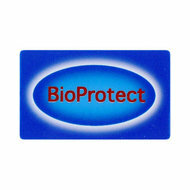 The BioProtect anti-radiation sticker measures 1,5 x 2,5 cm. The stickers have a constant function and don't need to be charged. 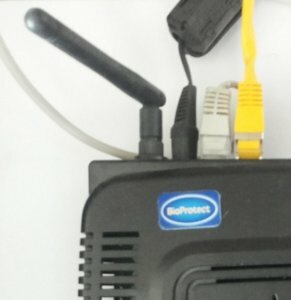 Wifi antenna (Wifi radiation can be neutralized by placing a sticker in the corner angled towards the room). In the line of a transmission tower. 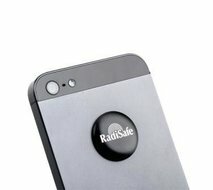 For using a mobile or wireless phone we recommend the RadiSafe telephone sticker due to the intensity of the radiation. Electromagnetic smog is an omnipresent and ever increasing problem in our environment. Since mobile phones were introduced, it has become even more obvious. There are many adverse effects on health which are brought on by mobile phones: sleep disorders, headaches, concentration problems, probably even cancer. This is backed up by a large number of scientific investigations. Most people do not even notice the electromagnetic smog directly, but this is just what makes it so dangerous. In electric measurements taken on the acupuncture system of the human body (electro-acupuncture) it was proved that any electromagnetic smog causes strain, even that of a straightforward floor lamp. This strain, though, is quite different in intensity and depends on the source of radiation, it is however particularly grave with mobile phones. Considering that the effects of electromagnetic smog on the body are measurable by means of electro-acupuncture, it would appear that the same measuring method can help in the search for remedies. BioProtect is the result of this search. In this search it was found that electromagnetic waves always contain two types of waves. These are firstly the transverse waves which are easy to measure with the commonly used instruments and which are in our days mainly used for technical purposes, also in mobile phones, and secondly the longitudinal waves, also called Tesla waves after their discoverer Nicola Tesla. These longitudinal waves have biological effects that are measurable in the acupuncture system, in the growth of cell cultures and also in the change in brain waves in an electroencephalogram. They represent what we call "electromagnetic smog". Up to now it is not possible to measure longitudinal waves directly, using technical measuring instruments, but only via their biological effects. 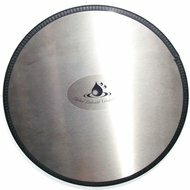 These biologically effective longitudinal waves have specific physical properties differing from those of transverse waves. As early as 1880, Nicola Tesla has described them and established their existence by experiments. Owing to these different properties it is possible to filter out the longitudinal waves in a selective way. To do so, a medium is required that resonates with these waves and absorbs them. With the help of acupuncture, Dr. med. Dietrich Grün has found several ways of creating such a resonance, and so it has been possible to neutralize the biologically harmful effects of longitudinal waves. All effects of BioProtect were proved, for a start, by electro-acupuncture measurements, and then in practical testing involving a large number of patients. The ordered products will be sent out the same day if possible, or otherwise the following day. Ik had last van de wifirouter, nu niet zo meer. Dank je. Heb de sticker op de Garmin (navigatie) in de auto geplakt. Kwam voorheen na een lange autorit weleens compleet overprikkeld (trillend) aan. Dit jaar niets meer van gemerkt. Lijkt goeie koop geweest te zijn. Ik geef dit product vijf sterren, en ik ben nog lang niet klaar met het plakken van deze sticker! Onbewust gebruiken we steeds meer apparatuur in huis, auto of je werk. 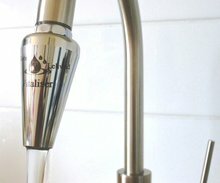 En als je er over gaat nadenken, zitten we eigenlijk iedere dag in een spinnenweb van onzichtbare elektrische lijnen . Zelf ben ik als hsp persoon zeer gevoelig voor te veel prikkels in welke vorm dan ook, en onlangs letterlijk in mijn lichaam te veel aan elektra prikkels mogen ervaren. Vandaar dat ik zeer dankbaar ben, dat ik wist waar ik deze stickers kon krijgen en heb dan ook advies ingewonnen en dezelfde dag nog besteld. Een dag later in huis de stickers ontvangen en het verschil was na het opplakken voor mij direct voelbaar! Het was voor mij een openbaring en een cadeautje tegelijk! 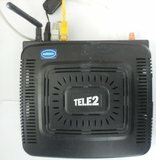 Vooral stickers geplak op de wifi, en de slimme meter en in mijn auto. Ik heb wel het gevoel dat het helpt. Zeker voor de wifi. De iPad en de Tablet werden altijd erg warm. Dat merkte ik vooral als ik deze opschoot had. Nu de sticker erop zit voelen zij niet meer warm aan. Ook wat de TV en Magnatron betreft ben ik heel erg tevreden. Deze stickers zijn een aanrader. Altijd als ik met mijn nieuwe telefoon belde kreeg ik zo’n pijn aan het oor waar de mobiel op dat moment tegenaan zat. Sinds ik de stickers (2 stuks) erop heb geplakt heb ik duidelijk minder last van de straling van de telefoon. De pijn die de telefoon hierdoor veroorzaakte is grotendeels verdwenen.